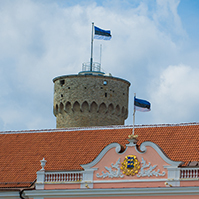 The Riigikogu passed with 48 votes in favour (no one was against and no one abstained) the Act on the Accession to the Agreement on an International Energy Program (576 SE), which provides for Estonia’s accession to the International Energy Agreement (IEA). The objective of the IEA is to promote secure oil supplies on reasonable and equitable terms, and to take common effective measures to meet oil supply emergencies by developing an emergency self-sufficiency in oil supplies, restraining demand and allocating available oil among their countries on an equitable basis. 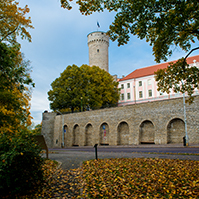 Considering that the positions of the IEA in energy policy issues are an important input also in the development of the European Union’s energy policy, Estonia can also directly influence the processes that will be the basis for the development of the European Union legislation later. Since the IEA sees the importance of solid fossil fuels, including oil shale, in ensuring energy supply security, Estonia will have a greater opportunity to introduce in that field the developments in the technology of burning of oil shale and production of shale oil. The Riigikogu passed with 60 votes in favour (no one was against and no one abstained) the Act on the Ratification of Protocol No. 15 amending the Convention on the Protection of Human Rights and Fundamental Freedoms (581 SE) which improves court procedures and thereby better protects human rights and fundamental freedoms in Europe. 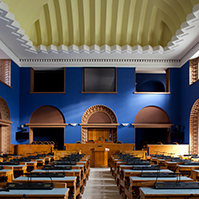 Before final votings, the Minister of Defence presented a political statement at the beginning of the sitting. The Minister of Defence Urmas Reinsalu called on the political parties represented in the parliament to discuss and conclude a cross-party national defence agreement. Its aim would be to send a clear signal of the importance of the field of defence to the society and the public and private sector of Estonia, but also to agree upon the basic goals of the coming years, based on the fundamentally changed security situation. “Today, there is no issue more urgent than security for the Estonian state. As you know, we will mark ten years of NATO membership these days. 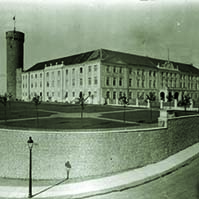 Estonia’s defence capability has changed a lot over that time, but the Alliance itself has also changed. Although critics and sceptics are numerous, I am convinced that today’s NATO is stronger in military terms than it was a decade ago,” Reinsalu said. 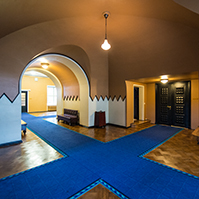 In his words, the image of the international security of Estonia is not an image of a periphery, but of a serious ally – one of a state who keeps its word and does not take advantage of others. The Minister of Defence also said that, on Wednesday, he had written a letter to his Latvian and Lithuanian colleagues with a request to seriously consider raising defence spending. “Today, tomorrow and in foreseeable future we have to do everything so that the Ukrainian crisis would be resolved as peacefully as possible and Russia’s behaviour in the international arena would be given an adequate response. We have to honestly admit that today’s response from the Western world has been insufficient and the crisis has escalated,” Reinsalu said. The Minister stressed that we need not have fear. “The only thing we must fear is fear itself. We have to calmly change our activities in the changed circumstances, putting security in the focus. And the world is more dangerous today than it was yesterday, in the direct sense of the word,” the Minister of Defence said. 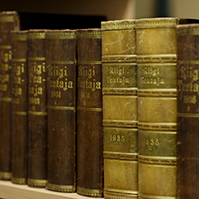 A total of ten Bills passed the second reading in the Riigikogu. The Motor Third Party Liability Insurance Bill (423 SE), the Bill on Amendments to the Natural Gas Act (556 SE), the Bill on Amendments to § 22 of the Advertising Act (584 SE), the Bill on Amendments to the Defence League Act, the Military Service Act and Other Acts (579 SE), the Bill on Amendments to and Repeal of Acts in connection with a Review of Legislative Acts (519 SE), and the Bill on Amendments to the Taxation Act (575 SE) passed the second reading. The Bill on Amendments to the Health Care Services Organisation Act (566 SE) also passed the second reading. Margus Tsahkna took the floor during the debate. The Bill on Amendments to Other Acts relating to Amendments to the Taxation Act (574 SE), the Bill on Amendments to the Health Insurance Act (551 SE) and the Bill on Amendments to the Medical Devices Act (562 SE) also passed the second reading.